FRANKFURT -- Opel may cooperate with Chinese automaker SAIC to expand its car sales in China, a German newspaper reported. Opel is talking with SAIC about a sales partnership to sell and distribute its cars in China, according to a report in Handelsblatt on Tuesday. 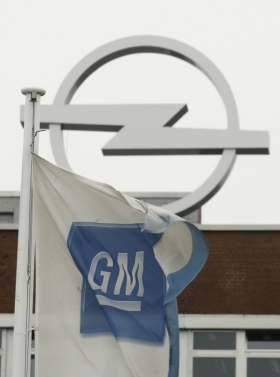 Opel parent General Motors Co. has a joint venture with SAIC in China. Handelsblatt said Opel may expand the number of dealers in China selling its cars to between 200 and 300 from 50 now with help from SAIC. No agreement has yet been finalized and there are a number of open questions concerning finance, the paper said, citing two sources involved with the negotiations. An Opel spokesman declined to comment on the report. ''We are always saying that we are always looking at export possibilities and China is certainly an interesting market,'' the spokesman said. Opel expects to sell 500 more cars this year than the 5,000 it sold in 2011, Kevin Wale, GM's head of China told Automotive News Europe earlier this month. Opel sells three models in China: the Astra compact, Zafira large minivan and Antara SUV. This year, Opel will begin Chinese sales of the Insignia Sports Tourer station wagon and the Zafira Tourer minivan, Wale told ANE. Opel is seeking to boost volume outside Europe as the eurozone crisis hits the region's car sales, but GM is limiting its Germany-based subsidiary's global expansion and sees Chevrolet and Buick as its main Chinese brands.